Police have no enforceable duty to protect an individual threatened by criminal violence. 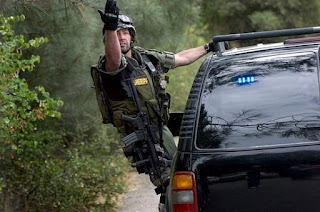 A lawsuit recently filed in New Hampshire demonstrates that police are taught to assume that citizens have a moral and legal duty to protect them. Beverly Mutrie of Greenland, New Hampshire is being sued by four police officers who were wounded during an April 12 shootout at the home of her late son, Cullen. Greenland Police Chief Michael Maloney was killed in the gunfight. 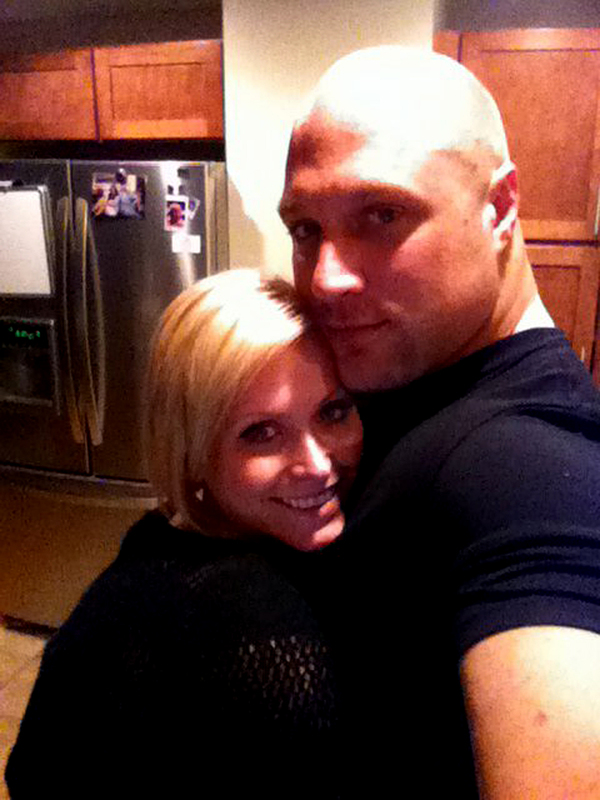 Following an eight-hour standoff involving SWAT operators and dozens of police officers, Cullen and his girlfriend, Brittany Tibbetts, were found dead in what was described as a murder-suicide. Mrs. Mutrie’s only connection to the events of April 12 is the fact that she owned the home where the shootout took place. The lawsuit filed by the officers claims that she “indirectly supported and facilitated” illegal activity that supposedly occurred on the premises. She has not been charged with a crime. In addition to being an act of simple vindictiveness, the lawsuit against Beverly Mutrie is probably an attempt by the municipality – which wasn’t cut in for a share of the “forfeiture” haul – to confiscate her home. An interrogatory interview of Mrs. Mutrie focused entirely on her insurance coverage. The DEA seized three vehicles found on the property and $14,320 in cash that was found on the body of Brittany Tibbetts. The raid itself may have been prompted by concerns that the case against Cullen Mutrie was weak. An aspiring firefighter who spent much of his time in the gym, Cullen came to the attention of a state narcotics task force in July 2010 when an officer serving a restraining order found anabolic steroids during a search of the home. In a bench trial, Cullen was found guilty of domestic assault against a live-in girlfriend. He was put on probation and required to undergo an anger management assessment. 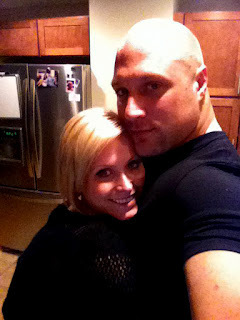 Police arrived at Cullen’s home on April 12 to serve a no-knock warrant. Two of the officers, who were acquainted with Cullen and aware of the home’s surveillance cameras, gestured to be let inside. When Cullen refused to grant entry, Task Force agents forced open the door. Cullen reportedly opened fire, wounding four of the officers and killing Chief Maloney. An eight-hour standoff ensued, during which time the alleged murder-suicide took place. If Cullen Mutrie, who was 6’3” tall and weighed 275 pounds, was involved in criminal conduct, what was his mother supposed to do about it – spank him? Assuming that she was aware of his activities, she could have called the police, who had already been investigating her son for nearly two years. If she had been an accomplice or an accessory, Mrs. Mutrie would face criminal charges, rather than what amounts to an extortion attempt. The persecution of Beverly Mutrie is neither the first, nor the worst, case of its kind. In June 2007 Karen Mies, a 66-year-old hospice nurse from Shingle Springs, California, suffered two losses no wife and mother should ever endure. Her husband, 72-year-old Arthur, was killed in an entirely unanticipated act of irrational violence on the part of their 35-year-old son, Eddie. 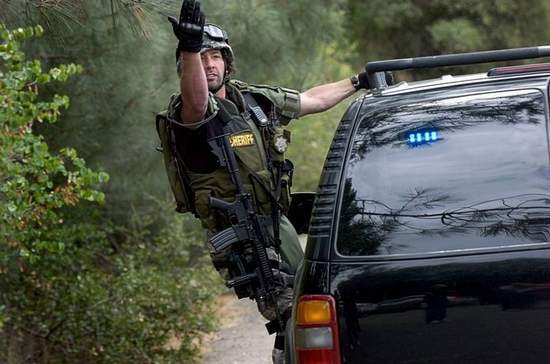 After the police were notified, Eddie was killed in an armed stand-off involving the local SWAT team, a helicopter provided by the state police, and several deputies from the El Dorado County Sheriff's Department. More than one hundred rounds were fired in the June 5, 2007 shoot-out. In addition to the deaths of Arthur and Eddie, three deputies -- Jon Yaws, Greg Murphy, and Melissa Meekma -- suffered gunshot wounds. The injuries suffered by deputies Yaws and Murphy required multiple surgeries and lengthy hospitalization, but weren’t life-threatening. In the months prior to that horrible day, Eddie’s behavior had become erratic, leading his friends and family to wonder if he suffered from a psychological condition. Karen and Arthur had tried, unsuccessfully, to find suitable help for their troubled son – but they certainly didn’t anticipate that his problems would culminate in murder. Displaying preternatural grace, Karen inquired after the health of the injured deputies, telling a friend that her sole consolation was the fact that they would survive. A measure of the depth of her good character is offered by the fact that she didn’t recant that statement after Yaws and Murphy filed a multi-million-dollar lawsuit against her and her husband’s estate. The deputies claimed that Karen – who was not charged as an accomplice – shared the culpability for the injuries allegedly inflicted on the deputies by her son. Eddie Mies was characterized in the document as "a diagnosed schizophrenic" with a "criminal history" who displayed "paranoia and [a] propensity for violence." For these reasons, insisted the deputies, Karen should have known it was "necessary to avoid allowing Eddie Mies access to firearms," and they claimed that she displayed actionable negligence by permitting such access. In a television interview, Yaws appeared to accuse the Mies family of conspiring to endanger his life and those of his fellow officers. When Jake Mies, Eddie's brother, made a frantic 911 call to report that his father had been shot, he told the operator that he didn't know who had committed the crime. Yaws characterized this as a deliberate lie, and accused Karen of being a party to the deception. "We were directly lied to when they said they didn't know who had done it," asserted Yaws. "We thought it was a random person [on the ground] through the neighborhood. We would have handled it entirely differently if we had known it was someone from the residence." Even if this had been true, it's difficult to see how the knowledge that the shooting was an aggravated domestic dispute would have changed the tactical situation. The police deployed overwhelming force, then used a CHP helicopter to flush Eddie into the open where he was quickly killed by the SWAT team. Immediately after the incident the El Dorado Sheriff’s Office peddled a self-dramatizing version of the episode in which Eddie Mies supposedly “tried to bait the officers” into a thicket near the house. The department also claimed that he had devised "an elaborate system of bunkers and tunnels" akin to the labyrinth Colonel Hogan's resistance cellcreated beneath Stalag 13. The lawsuit asserted that Eddie was "found dead in a bunker with a cache of weapons and ammunition, as well as a change of clothes." After the suit was filed, Karen Mies took a reporter from the Sacramento Bee on a walking tour of the family's 2.5 acre property, where she and her late husband had raised six children. The "ammunition cache" was an old toolbox containing bullets, birdshot, and useless junk. The "change of clothes" was a jacket. At the time of his death, Eddie was armed with a shotgun and a revolver he had purchased legally as an adult. The warren of "bunkers" and "tunnels" consisted of a handful of small depressions and sunken trails "where the kids used to play," Karen pointed out. In similar fashion, Eddie's psychological problems and "criminal" history were generously embroidered by the deputies. Although his behavior had become alarming to his friends and family, Eddie was never diagnosed with schizophrenia or any other mental disorder. His "criminal history" consisted of traffic arrests in Wyoming and Nevada. Although it is clear that Eddie had killed his father, it was never firmly established that he actually shot the deputies, who may well have been injured as a result of “friendly fire.” When asked about this possibility, Bill Clark, who at the time was chief deputy DA for El Dorado County, blithely replied that his office had been “too busy” to complete its official inquiry. Lawsuits of the sort filed against Beverly Mutrie and Karen Mies are generally foreclosed or dismissed on the basis of the "Fireman's Rule,” which recognizes that police and emergency workers assume certain risks inherent in their jobs. In 1996, the American Federation of State, County, and Municipal Employees (AFSCME, the official tax-feeders' union) enacted a resolution denouncing the “Fireman’s Rule” as a form of "unfair and indefensible treatment of public safety employees and law enforcement officers" and supporting efforts to "reform or abolish the Fireman's Rule wherever it exists." The AFSCME, through its affiliate, the National Law Enforcement Officers Rights Center, has quietly lobbied for modifications to the “Fireman’s Rule” while looking for a promising lawsuit that could abolish it outright. The lawsuit against Karen Mies was quickly snuffed out by a gale-force outburst of public revulsion, at least some of it inspired by the fact that the female deputy who had been wounded didn’t join in the suit. The shootout that prompted the lawsuit against Beverly Mutrie is much better suited to the needs of the cynical tax-feeders’ lobby. It involves the death of Chief Michael Maloney, who – in a cinematic touch -- was eight days from retirement (at age 48, following a 26-year law enforcement career that was otherwise devoid of danger). 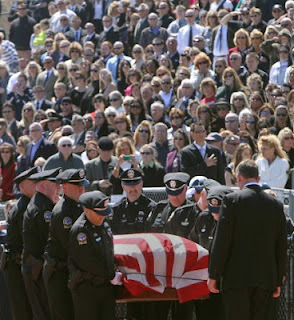 Thousands of law enforcement personnel attended Maloney’s funeral, including career criminal Eric Holder, who apparently wasn’t too busy fomenting racial tensions, covering up FBI torture-murders, or supplying high-performance weaponry to Mexican criminal syndicates. If Beverly Mutrie had been visiting her son on April 12, and been shot by one of the officers during the raid, her assailant would be shielded from a lawsuit by the spurious principle of “qualified immunity.” The lawsuit filed against her is intended to advance the perverse principle that citizens have a legal responsibility to act as the equivalent of human shields for police officers – a development that is both revolting and entirely predictable. I do not agree with property seizure unless it is evidence. It is a violation of the 4th amendment. I don't agree with any police seizures unless it is evidence. Otherwise it is a violation of the 4th amendment. In Russia, police sue you! Damn shame the fall of our society is becoming so apparent. to paying their salaries via our property taxes. purchase such a policy it will called a tax, not insurance. Bankruptcy and unemployment of the Standing Army cannot come soon enough. The "professional police force" has been a disaster. It is time to abolish it and go back to private security. Another New Hampshire travesty. Again, so much for "Project Free (HAH!) State." Sounds a lot like what happened to Mrs Surratt. The law says police can lie to you, but not vice versa. The law says police have a duty to protect government, but not you. Now they prey on whomever they can, even widowed victims of violence, or grieving mothers. They will use any excuse to "seize assets" for even petty crimes, yet never stop big league criminals like Eric Holder. With "public servants" like these, we need to fire them! Wow, nicely done. I loved your analysis of the exaggerations and dissimulations employed by to police to show their subjects in most damaging way possible, even to the extent of what amounts to outright fiction. And then, the way you did the EXACT SAME THING in your last two paragraphs... genius!!! Your characterization of Holder is so ditto-ized it's nothing short of laughable. Clint Richardson does an excellent job of defining "To Protect And Serve". "What does this obtuse and open-ended catch-phrase actually mean?" What was she supposed to do spank him, I lul'd. The same thing in the second case how is the mother supposed to stop a grown man from acquiring weapons. A stern lecture? Send him to his room without supper? The one good thing about the collapse of the glorious hopetopia is the budget for police forces will shrink and there won't be so many donut snorters. Also when the SHTF the state sanctioned gang members will be looking out for their own and family but I am sure all the readers of Pro Libertate knew this already. To protect and serve...the status quo and vital corporate interests. The shrinking police budget won't (at least immediately) result in fewer cops (hired guns who don't have any more constitutional rights than the rest of us) but results in the cops putting the squeeze on more and more of us to cover their pay and benefits -- through more tickets and seizures. Most people in this country of swallowed the TV propaganda about cops being our 'saviors.' It's not until people become the victims of severe police abuse that they realize the truth -- cops are thugs who have a license to rob, beat and kill you. Welcome to the real world. When was the last time you saw thousands of people lining up at a funeral for a trucker or fisherman who does honest labor for their family? That's how sick this is: That the victims, those raped to pay for the salaries of their abusers, will que up to witness a tax leech put into the ground. That the victims, those raped to pay for the salaries of their abusers, will que up to witness a tax leech put into the ground. The EPA should be called on this one. Burying the mortal remains of an armed tax leech is tantamount to toxic waste dumping. 1. I was there during the shootout in El Dorado County, I dragged injured Deputy Yaws out of the line of fire and administered first aid to him. 2. There was no friendly fire, all Deputies including the K-9 were shot with 00 buck (That's a shotgun round) for all or most of you who care. Only two shotguns were used, one by the suspect and one by the Deputy who shot the suspect stopping the threat, and that was after the Deputies were shot. SWAT didn't arrive until after the shooting and the suspect was dead and the Deputies were flown to the hospital. 3. The suspects mother bought and supplied the guns for her drug addicted mentally disabled son. (I personally would not have filed a lawsuit though, even though it was just a statement). I'm sincerely glad that Yaws wasn't killed. I'm likewise happy to see that you appear to agree that the lawsuit was a bad idea. My view is not that all, or even most, police officers are exceptionally bad, but rather that the institution itself is at best morally infirm and tends to encourage bad behavior. In my experience -- which includes more than a few ride-alongs -- most police officers are severely risk-aversive. This is all the more remarkable given that law enforcement is by no means an unusually risky occupation. Police officers who wax melodramatic about the dangers they confront should shadow a logger, a farmer, or a commercial fisherman for a week in order to appreciate the risks run by people in the productive sector. I agree with you about the institution itself, but not to the point of picking out individuals (agenda in hand) and condemning them without knowing the facts, even when they are right in front of them. That's doing the same thing you accuse the "institution" you are criticizing. "Bad cops" putting innocent people in jail... Condemning innocent cops and ruining their lives. When I have ride-a-longs, I avoided putting my ride-a-long in danger. I'm talking about getting to know the officer and see that he or she is not the monster portrayed. Try doing a ride-a-long in a big city, not a small town in say...Idaho. Loggers, now that's crazy dangerous! 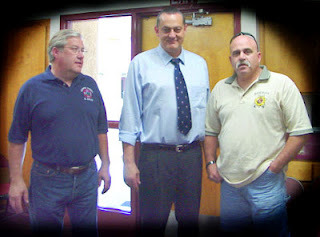 When I was a Los Angeles cop, I used to hang out with the firemen. I used to tell them they were crazy going into a burning building, they would say I was crazy going into a bank robbery. I think we agree for the most part, and we both feel strong about our subjects. No problem. You take care. And by the way, you probably didnt know, but my friend Melissa Meekma, the female deputy who was shot during the shootout in El Dorado County, she committed suicide shortly after the "wax melodramatic about the dangers..." shootout.